Out in the world right now, there’s a camp that frowns upon eating pie for breakfast. And I’m here to serve those folks a slice of humble pie with a savory breakfast pie. 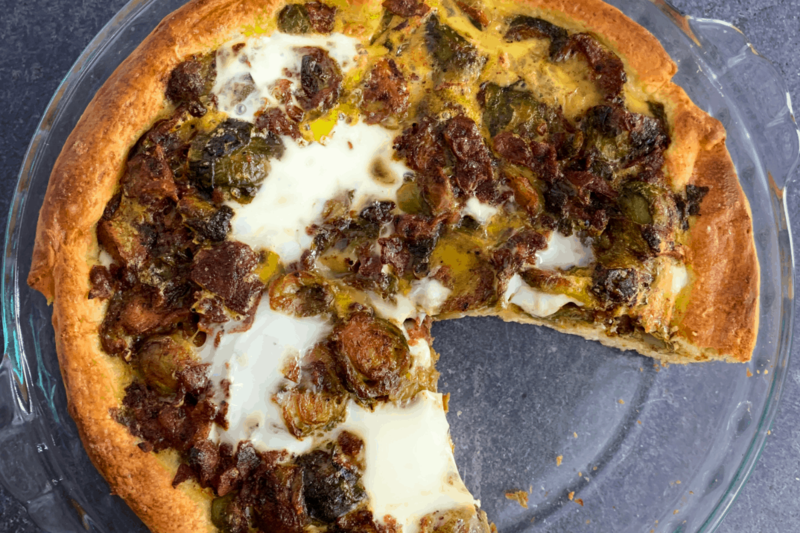 With a blend of eggs and egg whites, cinnamon honey bacon and brussels sprouts, and a reduced fat crescent roll crust, this breakfast pie packs a serious flavor punch without loads of calories. If you’re familiar with my recipes, you know I love simplicity and saving time. That’s why you see frozen brussels sprouts and precooked bacon. As usual, you’re more than welcome to use fresh! Okay, that’s all the ingredient notes I have for you. You’ll find the full breakfast pie recipe card below. 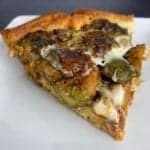 If you make this breakfast pie, I’d love to see it! 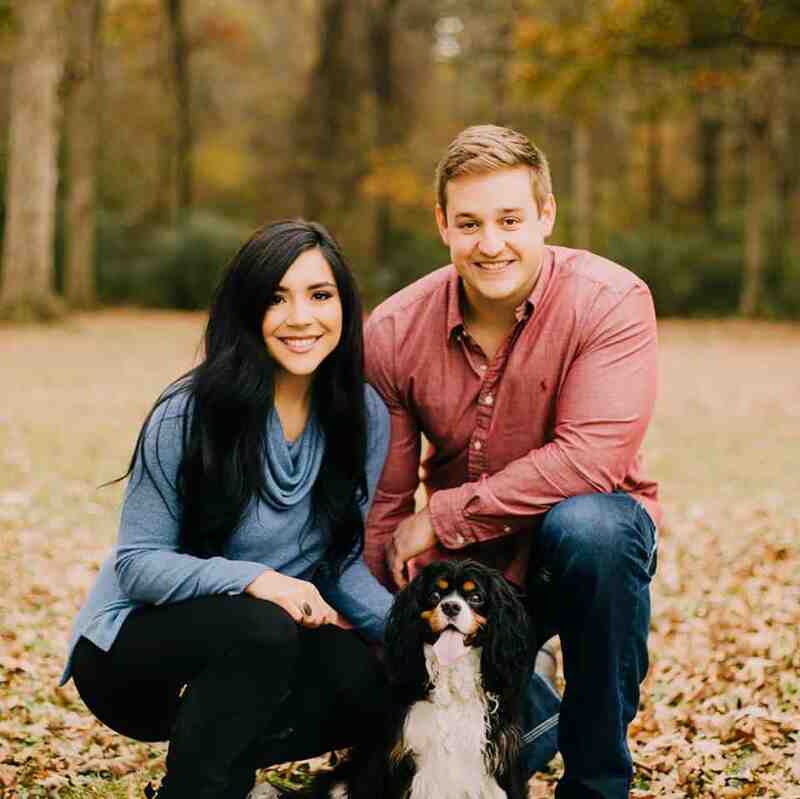 Take a photo and tag me on Instagram @mason_woodruff or join my free Facebook group and share it with the Proton Party. 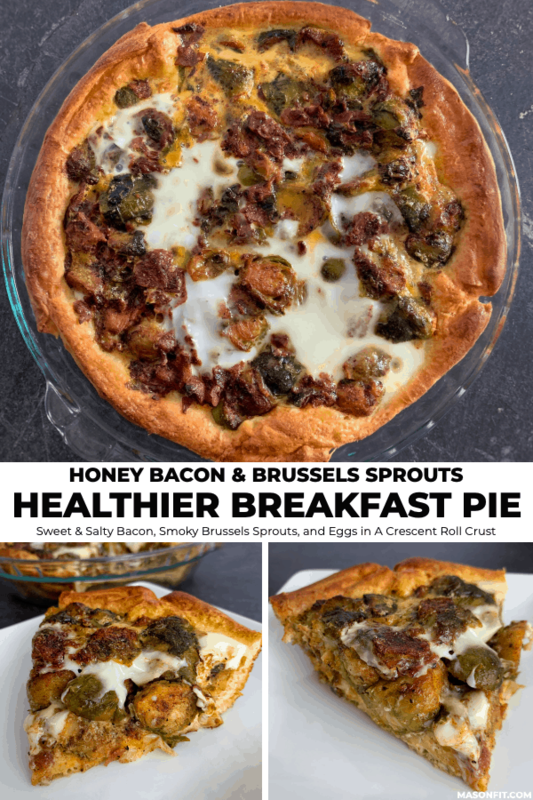 Cinnamon and honey sweetened bacon paired with smoky brussels sprouts and eggs on top of a crescent roll crust. Preheat an oven to 350F and spray a pie dish with nonstick cooking spray. Open the crescent rolls and arrange the triangles to fully cover the pie dish, going about 3/4 up the side. Be sure to press the dough together so there are no cracks. Set aside. Microwave the frozen sprouts for 3 minutes before removing, draining, and halving with a knife. 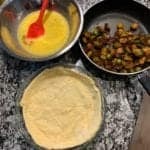 Add the halved sprouts to a large pan over high heat. Cook until they begin to slightly char. Add the bacon, honey, and spices, stirring well. 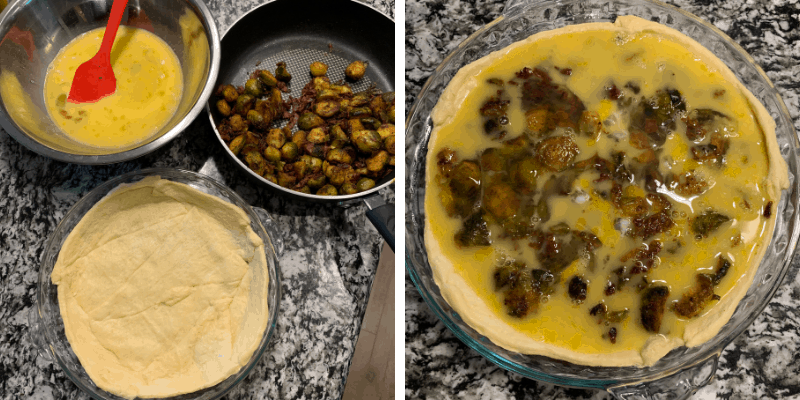 Add the sprouts and bacon mixture to the pie dish on top of the crescent roll crust. Whisk the eggs and egg whites together before pouring over the top. 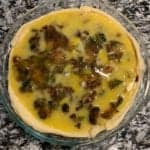 Be sure to get the crust high enough up the sides of your pie dish or the eggs will spill over the edge and create a soggy bottom on your breakfast pie crust. Bake for 12-15 minutes or until the crust's edges are golden brown and the eggs are fully cooked. For a lower calorie/carb option, swap the honey for a sugar free pancake syrup. With Walden Farms syrup, each slice has 165 calories, 10g protein, 18g carbs, 7g fat. You can also double the egg whites in place of the eggs. 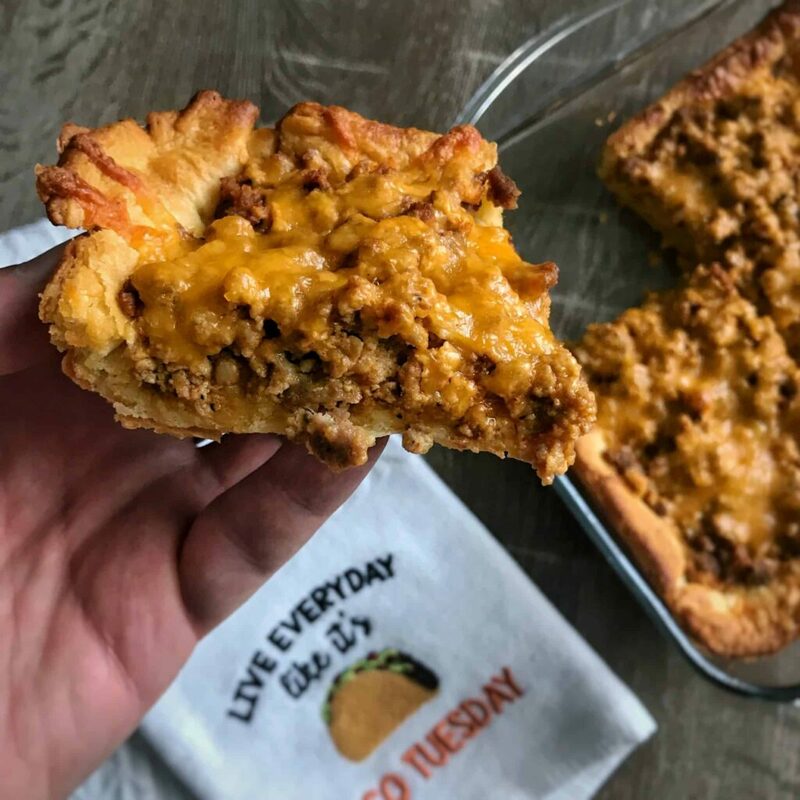 If you dig the idea of using crescent rolls for a yummy breakfast base, you’ll love my egg and chorizo breakfast casserole. 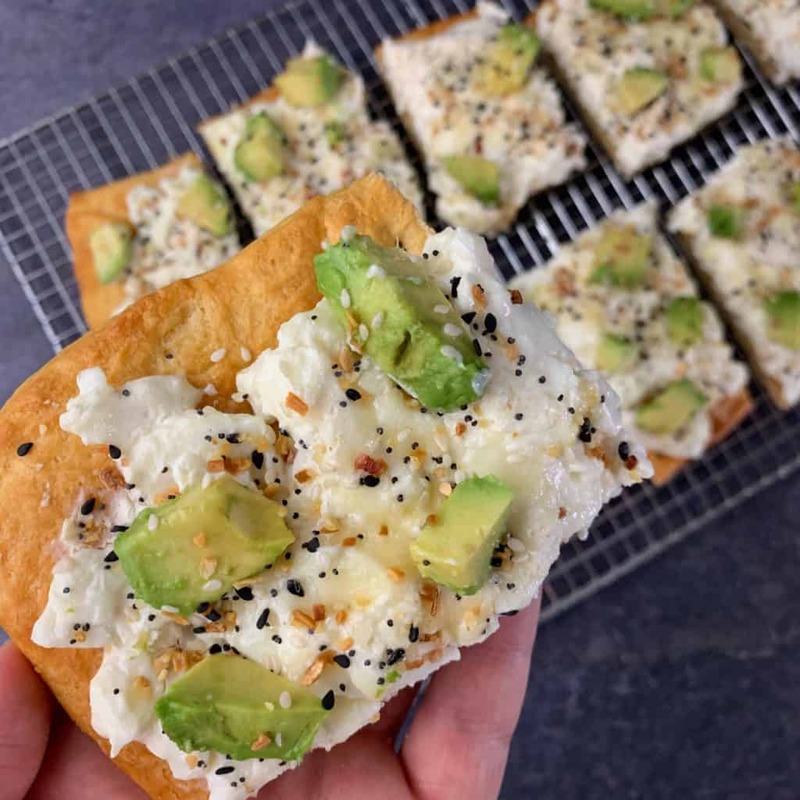 And if you’d like to lighten things up and get a bit more protein, my everything bagel breakfast pizza should do the trick. This was amazing! I doubled the recipe and subistuted frozen Brussel sprouts with fresh which i roasted with the bacon and added onion. Turned out amazing. Did need to cook it about 15 minutes longer. Hopefully the left overs are just as delicious.